On Bright Thursday the Gospel reading is John 3:1-15, which mentions the Pharisee Nicodemus who came by night to speak to Christ. The Lord told him that a man could not see the Kingdom of God unless he were born again. Nicodemus, taking Him much too literally, could not understand how such a thing was possible. The Savior then clarified His words, saying that one must be born “of water and the Spirit” (John 3:5), referring to Baptism. Nicodemus, however, still found it difficult to understand Him. The Lord said, “If I have told you of earthly things, and you believe not, how shall you believe if I tell you of heavenly things?” (John 3:12). 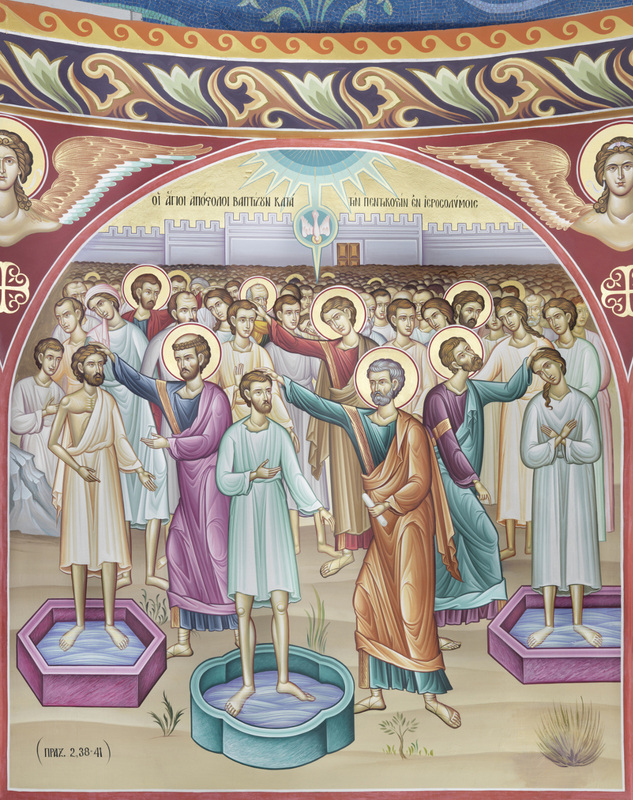 The reading from Acts 2:38-41 also speaks of Baptism. Saint Peter told the crowd, “Repent and be baptized, every one of you... and you shall receive the gift of the Holy Spirit” (Acts 2:38). The main focus of today’s readings is on Baptism, but they also point to other things. We are to raise our mind and understanding from earthly to heavenly things, and to seek the gift of the Holy Spirit.